With Fall is in full swing and Halloween is just around the corner here is your guide to all your fall adventure and entertainment in and around Woodstock from pumpkin patches to corn mazes and of course apple picking. 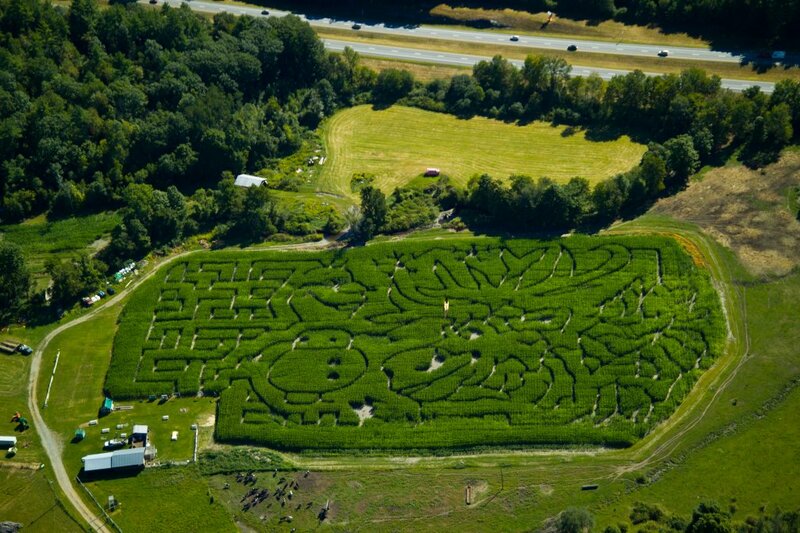 Hathaway Farm has a one of a kind Corn Maze. 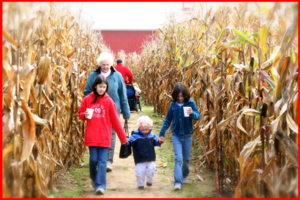 Farm Admission includes All Mazes, the Livestock Barn & weekend wagon rides. Show military ID for a $2 discount. Maze is open Monday, Wednesday, Thursday, Friday 10am-6:30 and Saturday 10am - 11pm. Harpoon Octoberfest at the Windsor brewery is much like the festival of the same name in Boston – nonstop live oompah music, chicken dancing, cake eating, bratwurst, and of course, barrels upon barrels of freshly brewed Harpoon beer. But instead of Boston as the backdrop, you’ve got Vermont’s beautiful upper valley in the peak of foliage season. 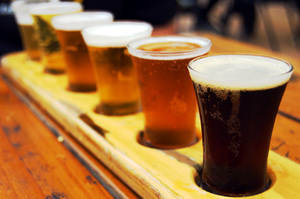 Fresh beer, radiant fall foliage, and live oompah music…awesome. On Sunday prior to the Festival, Harpoon will host its annual Harpoon Octoberfest Race, which benefits the Friends of Norris Cotton Cancer Center. October 11th and 12th 11am-5pm. Each day a traditional husking bee will begin at 12:30 p.m., followed by a barn dance from 1:00 to 4:00 p.m. 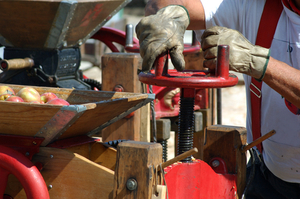 Lend a hand pressing cider, preserving apples, threshing grain, and making butter and ice cream. Harvesting the heirloom vegetable garden will be nearing completion and children can help dig potatoes and other root crops and learn how crops are “put up” for the winter. Other activities include: shelling beans, fence building, apples-on-a-string, and 19th century games. Hot-spiced cider and homemade doughnuts will be on hand for all! Admission includes all programs and activities. Admission: adults: $14.00; 62 and over: $13.00; children 5-15: $8.00; 3-4: $4.00; under 3: free. Pumpkin carving, doughnuts-on-a-string, wagon rides, cranking pumpkin ice cream, plus “not-too-scary” Halloween stories, pumpkin games, and animal programs will be featured. Costume parades around the farm field will be held at 12:00 & 2:00 p.m., will be led by the Billings Farm's friendly South down sheep, and all children will receive a ribbon. Admission to A Family Halloween includes all programs and activities, plus the working dairy farm, farm life exhibits, and farm house. October 25th 10am-5pm at Billings Farm. Have guest in town or looking for something unique to do this weekend? Head up to Sugarbush Farm and check out all their hand crafted products. 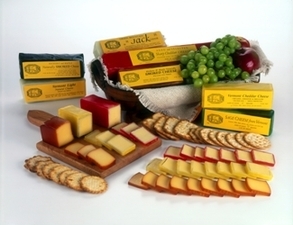 Pure Vermont Maple Syrup and Vermont Cheddar Cheese. Free Admission weekdays 8am-5pm, Weekend 9am-5pm. The Darrow family has been growing apples since 1914 and they offer already picked or pick your own apples, blueberries, peaches, pumpkins, and more. The orchard is a beautiful, wholesome place to visit any time of year and they welcome folks to hike and picnic in what they call one of New England’s many paradises. They also offer horse drawn wagon rides by appointment. 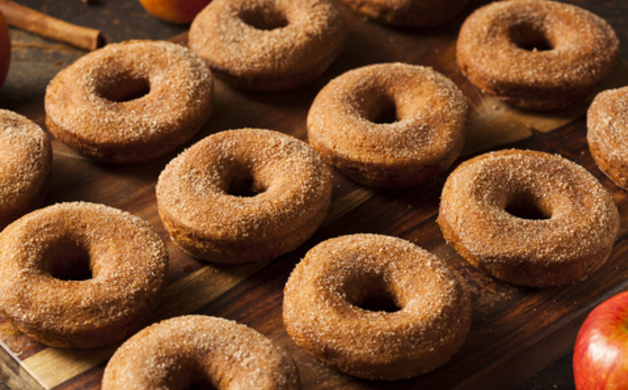 Green Mountain Orchards also offers Apple cider donuts! Yum! 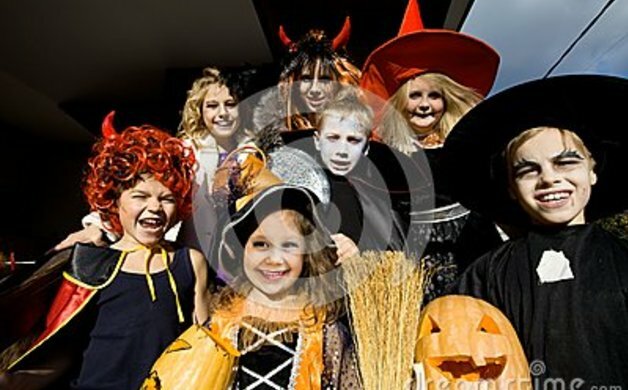 Do you have photos and memories from visiting these or other Halloween activities in the area this year? 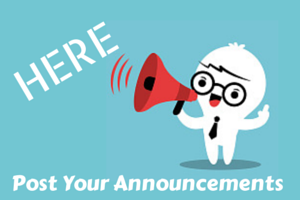 Did we miss your favorite spot or upcoming event? Let us know and we'll add it to this guide, or save for next year! Make things easier by adding your event to our calendar first, and then providing us with the link.